First, let me start by saying I’ve worked as a waiter and retail consultant, and for a while, in 2008 I was both simultaneously. The Confession: Today I took my family out for a meal at a chain restaurant in town and I didn’t tip well. With a four and seven-year-old these types of restaurants tend to have a choice of food that meets everyone’s needs. And as we walked in I was a bit dismayed to see tabletop tablets again. You know the ones like the photo above that are popping up everywhere? They are supposed to save time, increase table turns, and make sure that guests have the best experience. But really they are just proving that general table-side waiting is a job that is dying. Maybe it was my cold, or that it has been a long week, but when we were finished the waiter came and said we could get our bill on the tablet and to please answer the survey questions because they were having a contest and he needed us to rate excellent service. But from the time we were seated to the time we paid and left I saw the waiter at my table 4 times. A half-hearted welcome and taking the order for drinks, the delivering of drinks, the delivering of food, and then the plea for a survey. He offered no sense of being knowledgeable of the menu, no offer of culinary delights that we should try, a half crooked smile, and an almost begrudging gate in his walk. I didn’t do the survey (merciful of me), but I also didn’t tip well. Again, having been a waiter I know how important those tips are. 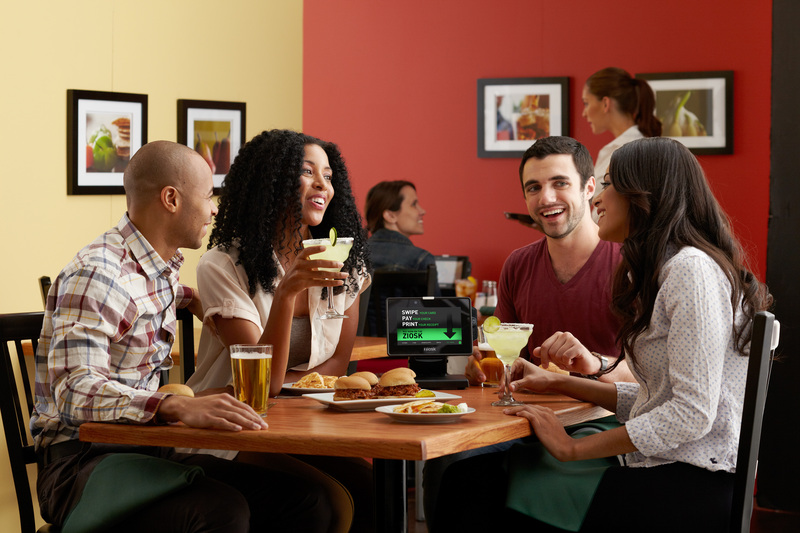 But with the increased use of these digital devices, it seems that the waiters are becoming nothing more than glorified food delivery systems who occasionally refill beverages. I mean I can order on the tablet, split my own check, sign myself in (or sign up) for a rewards program, and pay my own bill. Frankly, it is only one step away from walking up to a counter to order my food. And when I do eat at those places I don’t tip 15% for them to take my order and call my name. Maybe you’re wondering why I’m writing this on my blog for you today. Well, as I was driving home and discussing the recent dining experience with my wife it hit me…most industries and businesses that are point-of-sale // customer facing are in the exact same spot as these restaurants today. Technology is wonderful, and you will hear me continue to encourage you to look at new and compliant ways to utilize it for your business and for your organization. I mean I work for a company that builds a software platform to increase internal compliance and knowledge base, so I wholeheartedly support technology. But customer-facing technology can erode the customer experience before you even know it is happening. If a customer can find answers for themselves while never seeing//interacting with you in person then you have to wonder…why are you even doing it? Especially if your business has traditionally relied on this type of interaction from paying customers. (Some may read this and think “That’s what I want my business to be” and that’s awesome, but remember everyone wants to know that at least one smart and caring person is behind every transaction) You may not get tips like a waiter, but you do get paid for service(s) or goods provided. Ask yourself, would your customer pay you more if they could because of your service, or do they buy from you begrudging the dollar figure that is going to your company? You must be the masterful host of the experience. I think the solution to this issue is exceptionally easy and you can thrive in an ever-changing environment of increased technology. You must be the masterful host of the experience. Buying goods/services is always an experience! And we Americans LOVE to have amazing experiences (that’s why people pay $100 a day to go to Disneyland year after year). You have to make this process more than process, it has to be an event that people look FORWARD to. Only you can do that because only you can make human connections and interactions that create positive lasting memories. In regards to the table top tablets, this past weekend we were at another restaurant and the waitress was extremely friendly and engaging. She laughed with us and offered us great meal choices by showing us the pictures on the tablet and then making us feel like we were VIPs at a special event. When she told me about their survey and asked for my input she received excellent reviews and a large tip because she made the technology part of the experience, not the center of the service. So, which type of waiter will you be in your business?